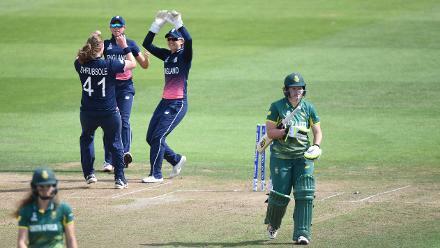 South Africa won the toss and opted to bat first in the semi-final. 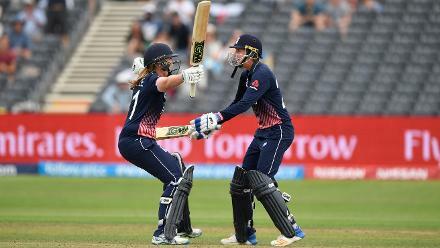 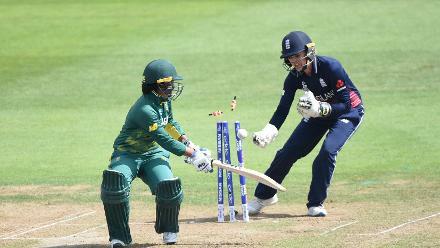 Sarah Taylor affected a spectacular stumping down leg off Natalie Sciver to get rid of Trisha Chetty, as South Africa slid to 48 for 2 in the twelfth over. 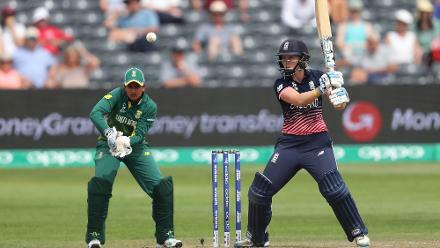 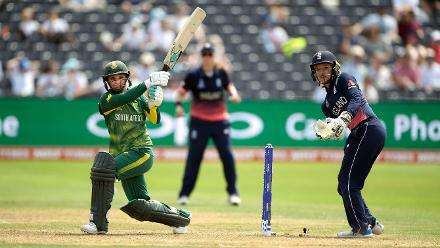 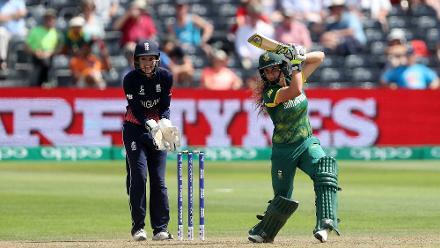 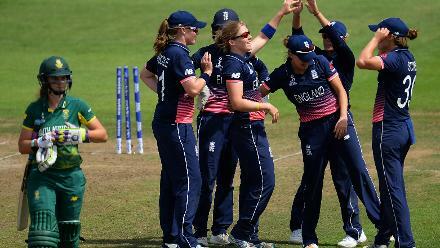 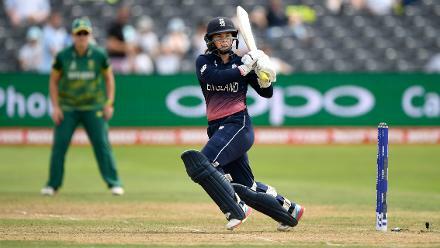 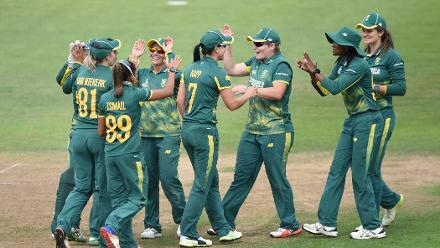 South Africa struck back with quick strikes, leaving England at a precarious 145 for 5, which soon became 173 for 6 with the wicket of Katherine Brunt.